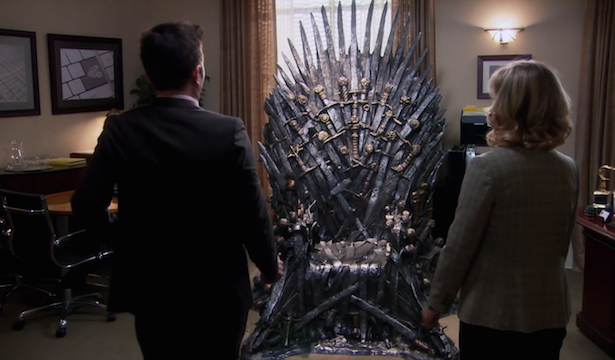 We should all aspire to be Leslie Knope from Parks & Rec: the greatest gift giver in the history of the world. Her gifts were always thoughtful, creative, and well-planned. You can spend three hours Googling Holiday Gift Guides in an effort to be like her, but that's a sure-fire way to feel overwhelmed and unsatisfied with your choices. Let's take a more efficient approach and learn how to do gift giving right. Leslie Knope style. 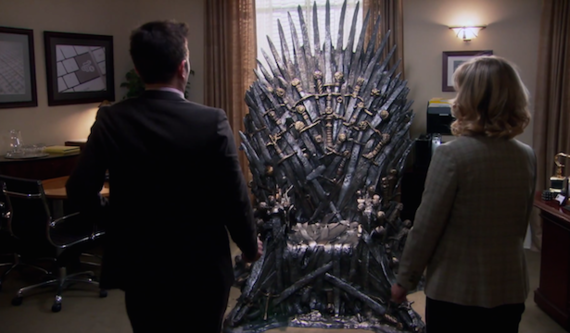 Remember that time Leslie gave Ben a life-sized replica of the Game of Thrones chair? 1. Stay organized. Keep a calendar of important dates: birthdays, holidays (specifically, Galentine's Day), special events, and anniversaries. Be realistic about how long it will take to buy a gift and ship it to loved ones if they live far away, and start planning backwards. I usually try to start preparing for Christmas about a month out and, even then, my gifts aren't in the mail until mid-January. On the bright side, it extends the holiday season through the New Year (that's a lie that I tell my friends so they forgive the lateness of my gifts). 2. Once you're ready to start shopping, make a list of your giftee's characteristics, favorite things, and inside jokes that you share. Characteristics can include: sarcastic, intelligent, artistic, sentimental, and outdoorsy. Inside jokes can include that one time your best friend ate pizza at 3am in her wedding dress. I don't know how that turns into a gift, but just roll with it. Favorite things can include: sports teams, jewelry, wine, cooking, and television. Consider things like: does this person enjoy experiences more than things? Do they only like practical things? Or are they also interested in things that have a decorative function (photos, paintings, sports memorabilia, etc.)? My sister, for example, doesn't care about anything unless she can drink coffee out of it. My brother loves very expensive clothing, so I usually give him food because I won't spend $100 on a tshirt. 3. Take your list and get on Etsy or Pinterest. Seriously, now you can get online and look for ideas. Etsy has a lot of stuff for very specific interests: I recently bought Sage earrings for my friend Sagen. WHAT?! Thank you, Etsy (unfortunately, this post isn't sponsored by Etsy but I spend enough money on that website that it should be). Sometimes you can find inexpensive and personalized gifts online. Other times, you can get ideas for things that you can get (or make!) elsewhere. Exploring these sites is the best way to take your list for each person and figure out how to turn it into a gift. 4. If your giftee has a Pinterest, stop wasting everyone's time and get on their Pinterest page. Buy stuff that they have pinned. This is the best life hack that you will ever receive. 5. Once you have your gift, write a note. I take card-giving more seriously than gift-giving, and so do my friends. Most of them are professionals at finding the most hilariously inappropriate cards. 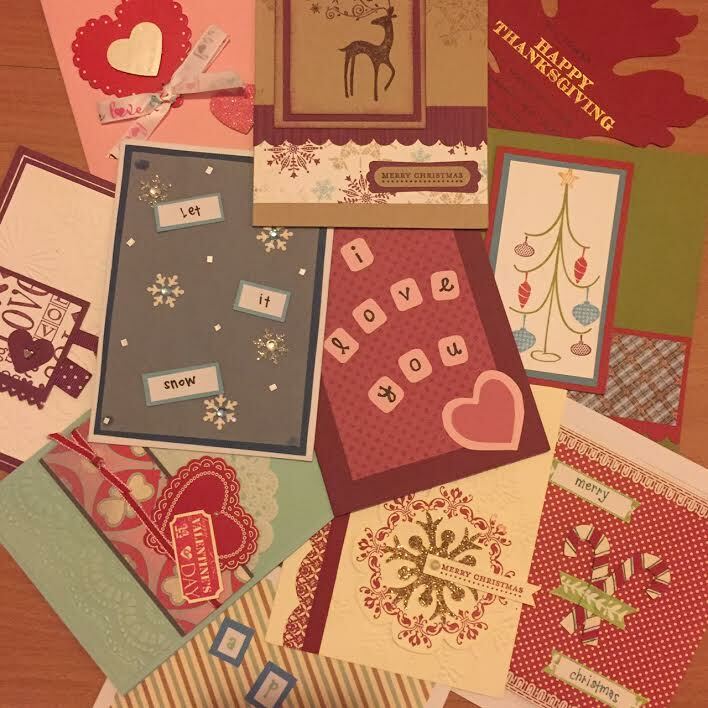 A couple of my friends even handcraft beautiful cards each year. You don't have to put this much effort into it, but you should put some thought into what you write. You can reference a specific memory from the past year or tell them how much they mean to you, but always. include. a card. Personality characteristics for my friends include: crafty as hell. The gift-giving process doesn't have to turn into a mad dash to fulfill your yearly holiday requirements. Being thoughtful doesn't have to be difficult. It just takes a little planning and some attention to your friends' and family members' interests. So, in reality, thoughtful gift giving can make you a better person and you can get bonus points with your loved ones. I just made a case for the selfish benefits of gift giving. There is absolutely no reason to not give thoughtful gifts! Now that you have the tools to survive the holiday season, you can thank me in the form of any products that are Mindy Kaling-themed. Go out and make Leslie Knope proud.